I find myself picking up the boot straps and finding the motivation to press on. 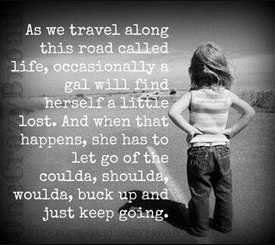 Funny how in the moment you can beat yourself up or you can choose to lift yourself up. For the past 6 weeks, I have been taking a mindfulness class every Tuesday. I have gotten great success from all of my therapies, chiropractic, cranial sacral, thrive fitness, tapping and now mindfulness. I feel much calmer and relaxed even with the start of our event season quickly approaching. I await the warmer days of Spring and, even though I've fallen into the proverbial hole, I'm climbing out of it and not beating myself up for falling into it. 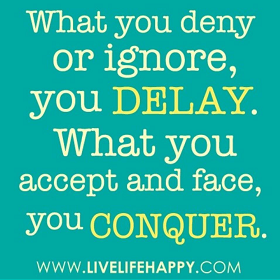 Acceptance is an amazing thing, I was a true to heart, self sabotager, always letting the mean girl inside beat me up. With mindfulness, I've had some pretty loving conversations with that mean girl and I've gently put her back in her place. She was only mean because she needed to feel loved. It feels good to accept yourself finally. We all have issues and we all have told ourselves we could be happier, if I was only 10 pounds lighter, if I didn't have this wrong with me or that wrong, IF only....I could be happier IF ONLY....Well, my friend, we can be happier, healthier and wiser, IF ONLY you could accept where you are right now, in this moment and choose to find happiness here. What I learned was to embrace your now. As a friend just said to me, if only I was 15lbs. less. Thank God for spanks! I just told my friend, its ok, there is so much more to life than 15 lbs and someday will come when it's really important to make the choices to make it happen. But right now, put on the spanks and rock that dress! 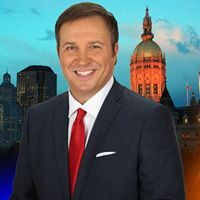 The CMAK Foundation is pleased to announce that Dennis House, Emmy award winning Eyewitness News anchorman for WFSB Channel 3 News CT, will be presiding over the Chasing the Music event as Master of Ceremony. 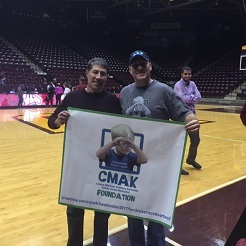 Dennis has been a supporter of the CMAK Foundation and a friend of the Kowalski family. He has spent 25 years with WFSB Channel 3 CBS including acting as moderator for the "Face the State with Dennis House" show on Sunday mornings. 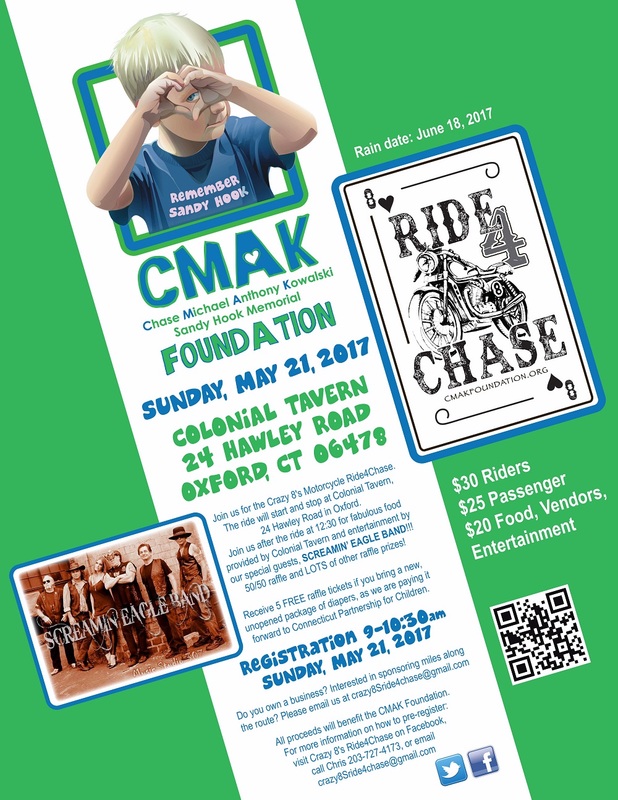 "We are so pleased that Dennis House has volunteered to be a part of this great event as an expression of his continued support for CMAK and its programs. 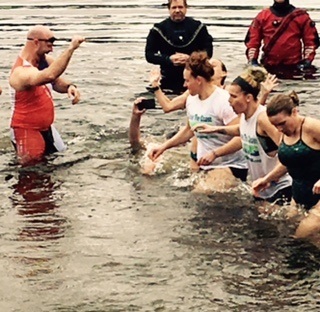 He will add more to an already amazing event," quoted Rebecca Kowalski. 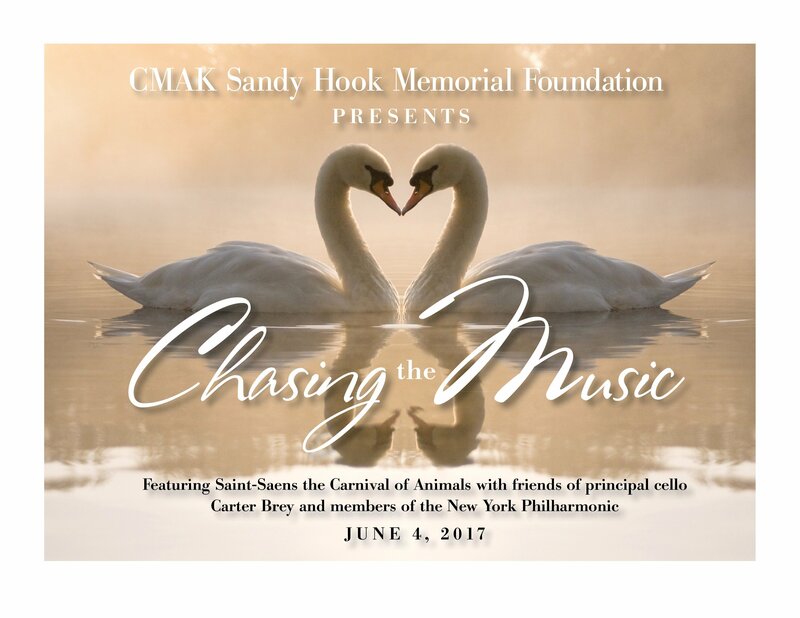 Please refer to the event page on our website, "Chasing the Music" to learn more about the event, purchase tickets and/or sponsor a youth to attend the event. After all the votes were tallied, CMAK finished runner up in the Drive with Harte contest which ended at the close of February. Let us not be dis-Harte-ened by the result and rally the vote necessary to win the March/April contest! The rules and prize are the same so please access the Facebook pages below and vote at each while sharing/encouraging all your friends to do the same. Vote now while it is fresh in your mind! Eat, Drink and Give! 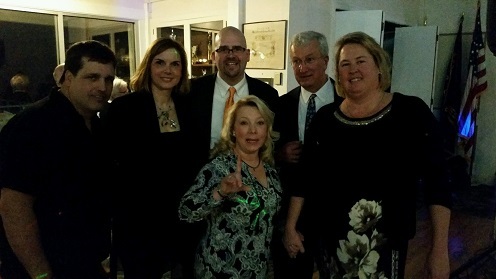 It was our pleasure to pay it forward and support our friends and partners at Bikes for Kids CT. We enjoyed ourselves at their inaugural dinner event on March 4th at the Westbrook Elks Lodge. We met up with our dear friend, Dave Fowler, and sat with new friends and shared our stories as we helped bid up some great silent auction raffles. We are so excited to continue our partnership with Bikes for Kids. As it stands, they have 88 bikes ready to go for our 20 programs with support for what ever else we may need. If you have a bike that may need a new owner, please consider contacting Bikesforkidsct.org to donate your bike. As a new addition to our Annual Crazy 8s Ride4Chase Motorcycle Run, there will be vendor booths. This is sure to enhance the experience for our riders by providing an opportunity for them to explore new products and services. For vendors interested in joining the event, please email the Ride4Chase Committee at crazy8sride4chase@gmail.com. A big Thank You to Scarlett Lewis for the introduction to her dear friend, Jane. It was an honor and privilege to meet Jane Ekayu, founder and executive director of Children of Peace Uganda. Jane's role at the Rachel Rehabilitation Centre was to receive child soldiers returning from captivity, assist them in their physical, emotional and physiological healing and facilitate their reintegration back into the community. Since the center closed down in 2006, Jane is Executive director of her own foundation; Children of Peace Uganda. As a gesture of peace, the CMAK Foundation donated a bag full of our past dri wik Race4Chase t-shirts for the many children she is helping. 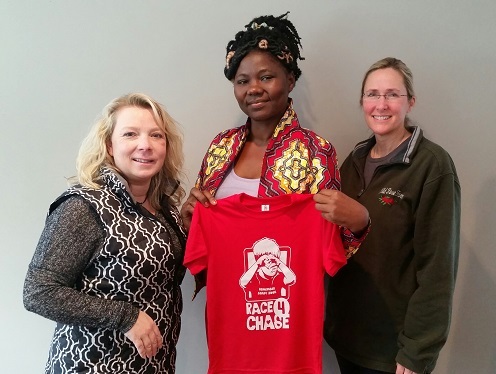 I look forward to sharing a photo of the children wearing our shirts, and learning about Chase. 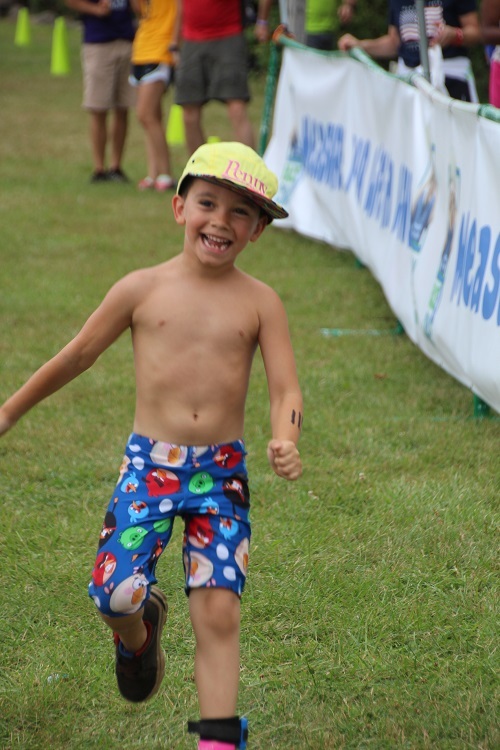 It makes my heart feel good that children all over the world have a small part of Chase through our Chase Ambassadors. It means the world to me to pay our fortunes forward and to help other children in need. Scott Sartwell is closing in on his goal to raise $7,000 for his Race4CHase Boston Marathon Campaign. He surpassed his $5,000 minimum requirement in the past weeks after his Blue Blaze Brewery Fundraiser and is nearing $6000 raised. He completed his 21 mile run this weekend so he is also in good shape in his training for the race as well. 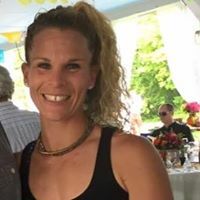 In support of her Race4Chase Boston Marathon Campaign, Heather Theriault completed running/walking 100 miles this past weekend. She shared with CMAK the following description of her effort which truly reflects the "never quit" spirit that Chase has instilled in others and an example that all can aspire. "Trying to put my 100 mile journey into words is hard. As a fitness coach and trainer, it is my job to encourage and motivate people everyday towards their goals. The past couple of months have thrown some curveballs at me but I was determined to push myself towards this goal and to raise money for Race 4 Chase because I believe so much in the program and CMAK foundation. " 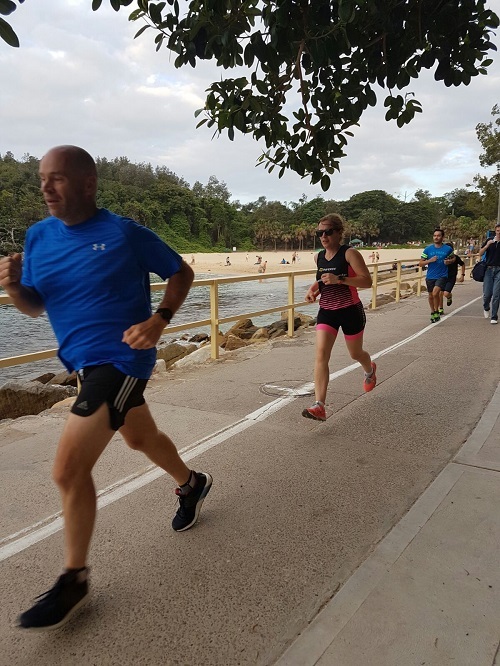 "Again last week as I was preparing to complete these 100 miles, I was hit with some unexpected expenses, bad weather reports, fatigue and a heavy work load. This was not stopping me though!! On Wednesday night, I began my journey with my friend, Christine Kopcha, on a treadmill late at night in the gym. I then continued to run the following day with Corrine Cuomo and late into the night with Michelle Bailey. " 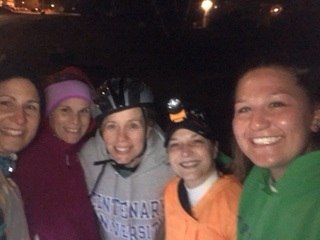 "The miles were adding up, but not quickly enough, so Friday I continued, and late Friday night along side some dear friends, Michelle Bailey, Claudine Mauri, Emily Anderson, Liz Hale, we ran into the early morning. 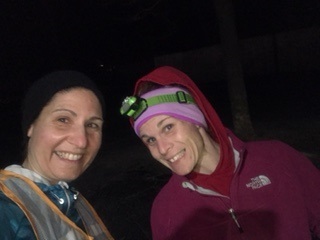 Saturday, I was joined as we ran through Hammonasset State park with Kiley Russell and Cristin Cummins. So much encouragement, so many people cheering me along and offering motivation and support! And let us not forget Gena Lennon-Gomez watching my kids so I could run, my husband for staying up waiting for my arrival." 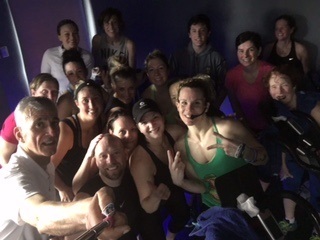 Cycle Class at Funktion Fitness showing support! 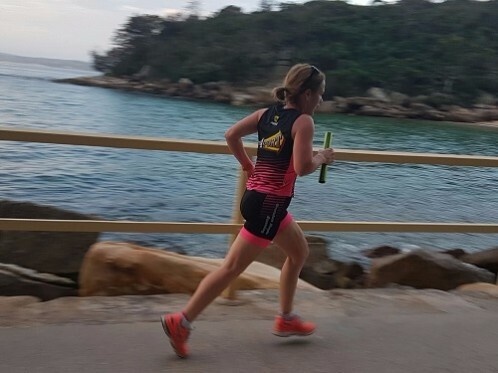 "I was able to complete my miles late Monday evening. I had completed 100 miles for Chase along with 11 group fitness classes, 4 waitressing shifts and trying to be a mom!" "Because more than ever this weekend I learned that anything is possible with the power of persistence. These 100 miles were millions of first steps over and over again. I just kept telling myself "I am brand new, this is a fresh start." The truth of it all is that we really never do X amount of miles, we just keep taking the first step of the first mile over and over again... until we can not anymore. The best part is the people and the journey that we all take together that makes it so special. " "Also.... super important.... the weather forecast said rain.... again... as it always has for every Chase event I have ever been involved in..... and yet again... not a rain drop. Not even a chill in the air.. Thank you again Chase for the warmth you gave me on my back and the clear sky that helped light the way. " CMAK applauds not only Heather but all of her friends that showed their support during her quest. For her efforts, Heather raised over $2,095 in sponsorships. She is still striving to reach the $5,000 mark by the Boston Marathon. Please help her if you can by donating to her campaign at the link below. For those that have registered for the race, we hope to see you at the race again this year in Fairfield Hills at the Race4CHase Team tent. 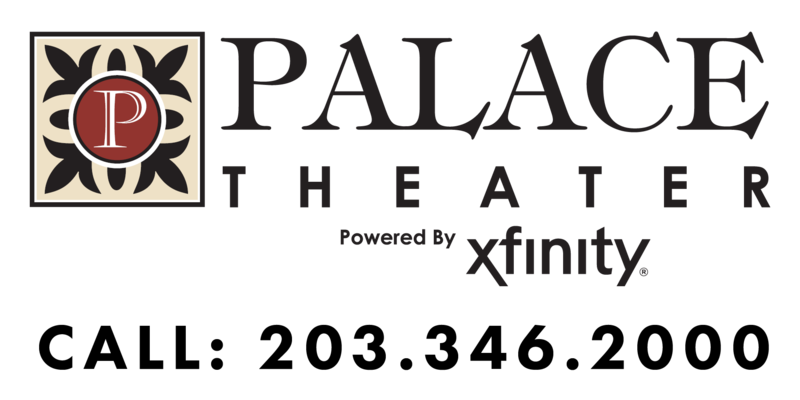 Although registration is now full, please join us to spectate and cheer on the participants. 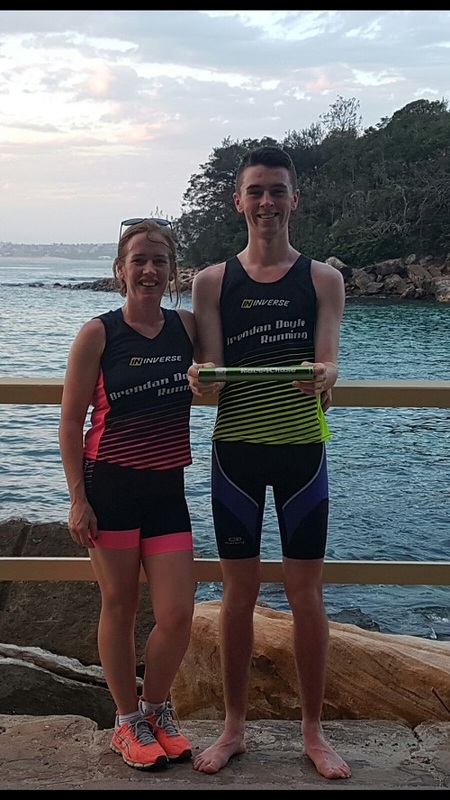 Madeline and their son, Ben, travelled to Sydney Australia where they participated in the Sydney Summer Twilight 5k series on Manly Beach. 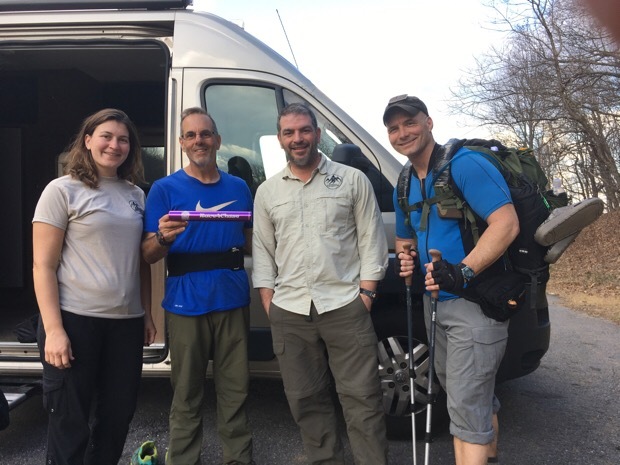 After months of training and preparation with Warrior Expeditions, Dave and Li Brown set out with the #18 Race4Chase baton on their quest to hike the length of the Appalachian Trail and in the process honor Chase Kowalski and raise awareness for the CMAK Foundation. 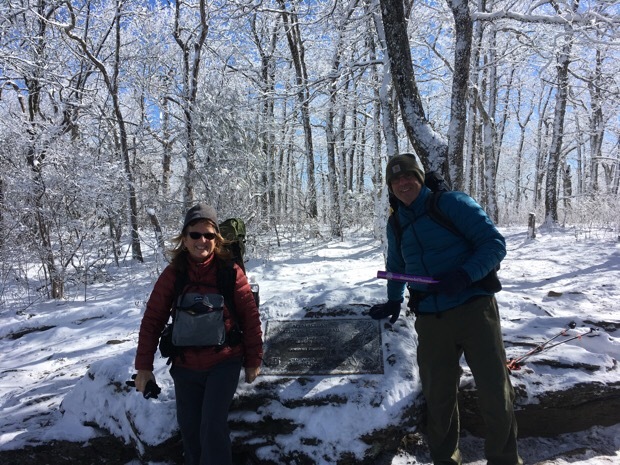 They started their trek at Springer Mountain in Dahlonega, GA on the ides of March with some frigid temperatures. After four days of their journey, Li developed severe knee pain. 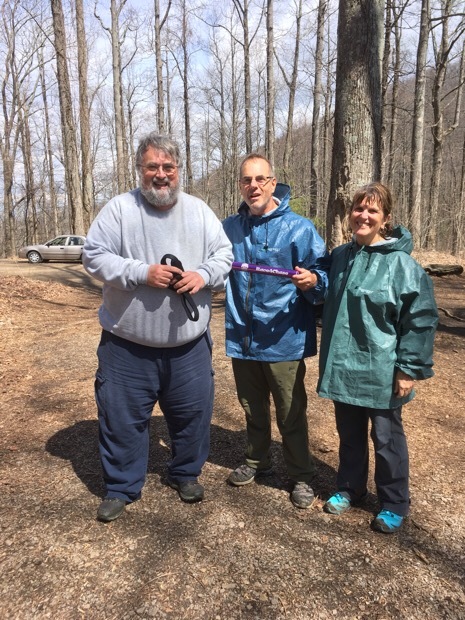 Attempts to manage the pain with a knee brace failed and the couple was forced to seek medical attention. Li eventually had to give up the quest after one week to rest and rehab the knee. 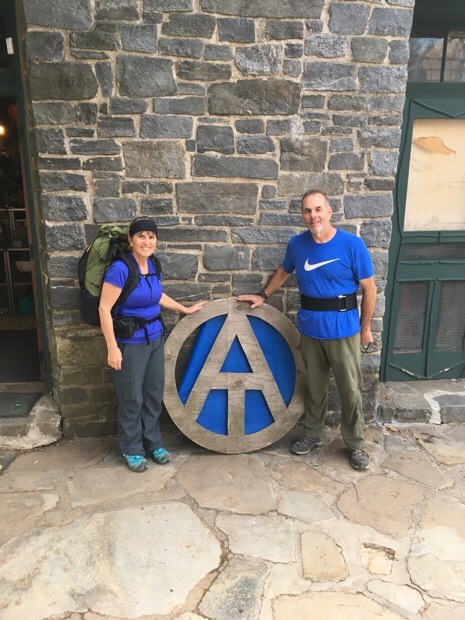 The couple has decided to postpone their adventure to 2018 when Dave will make the journey with support from Li along the way. Dave will hold the baton until that time when he completes this quest.